We are recruiting a Support Worker for our Waterloo Project, a 19 bed space hostel where we support clients to make positive changes in their lives and move on to more independent and longer term accommodation. Successful candidates will be highly motivated, committed and well organised, with some knowledge and experience of working with homeless people. 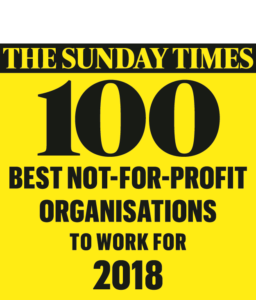 This can be a challenging and an extremely rewarding role that requires you to support our clients to view their stay in a hostel as temporary, to encourage them to become more independent and self-sufficient. You will work morning, middle and late shifts during the week and the weekend. – The ability to provide a flexible and responsive service to meet the needs of hostel residents. – Excellent communication and creative problem solving skills enabling you to create options for people where these may be hard to find. – Excellent interpersonal skills and commitment to working with service users. – The confidence, enthusiasm and ability to manage a case load of complex service users. – The ability to work within a team and to ensure health and safety requirements are followed. – A desire to develop your knowledge and skills.